If you are an avid traveller and wish to explore the regions of Kumaon, then they should go for a trek on the sides of Ramganga River. The river acts as an important source of survival for millions of animals. It is impossible to imagine the existence of Corbett National Park without the Ramganga River. Owing to Ram Ganga River, the wildlife reserve was christened as Ramganga National Park in 1954-1955. However, later the name was changed to Corbett National Park in 1955-56. Ramganga River provides multiple habitats, including streams, swamps and marshes, each home to different types of wildlife. 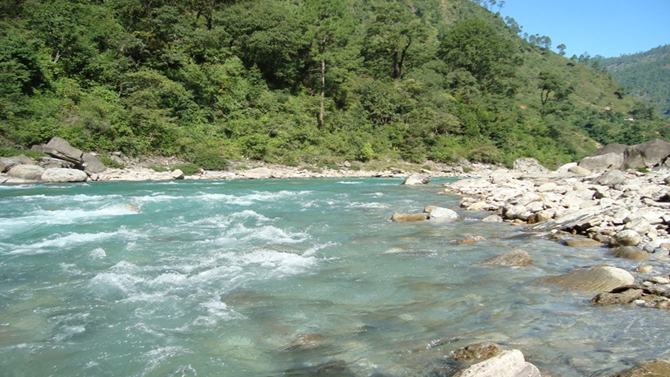 It is estimated that Ramganga River originates from Gairsain in Lesser Himalayas region. 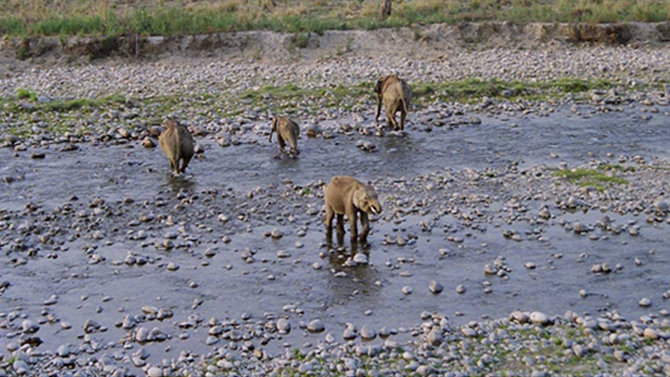 As per the facts, the river flows for around 100 km before entering the main periphery of the Jim Corbett National Park. The water streams of river flows in a zigzag manner from western section ultimately leading to the plain area of Kalagarh. At Kalagarh, there is a dam which was built way back in 1970’s. After passing through the interiors of the Jim Corbett national Park, the river further gushes through the Gangetic plain and finally, it merges into Ganga, near Farrukhabad. The Ramganga river is home to mahseer fish, gharials crocodiles, mugger crocodiles, otters and turtles. The river allures many bird species as well like Kingfishers, Storks, Fish Eagles and Terns. During the winter season, the banks of river become home many migratory birds from Central Asia and Europe. Ever want to see a wild crocodile glaring in your eyes? Then, you can see many crocodiles on the stretch of the river. In the valley of Patli Dun, the watchtower of Dhikala is a perfect spot for observing the Ramganga River. Get down to Champion’s Pool, Crocodile Pool and High Bank for the closer look of the river. Resorts located in Dhikala zone are a perfect spot for observing the wild side of the river. To get the bird’s eye view of the river and the entire national park, tourist can book their stay at high altitude rest houses. Major Aquatic Species :Rare aquatic species can be found in Ramganaga River. The river is home to multiple species like turtles, otters, crocodiles, gharials; the rare Mahseer fish is also found here. The water of the Kosi River is an emerald green, flowing steadily. Its banks are covered with a canopy of thick trees. 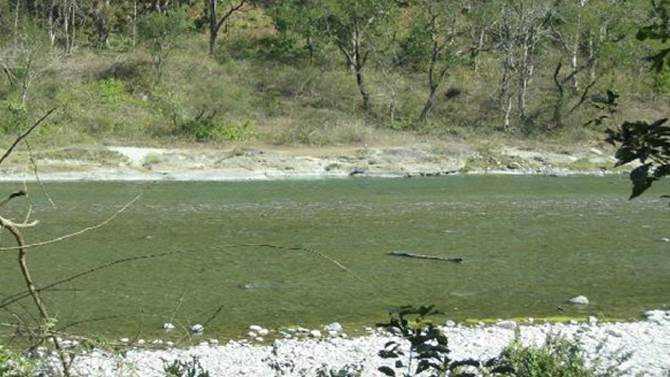 Kosi is an important river of Jim Corbett National Park flowing through the Dhikuli region. The river holds a spiritual significance as well because it passes from the sides of the Garjiya Devi temple, a holy shrine within the Jim Corbett National Park. Taking a dip in the holy water of Kosi is considered as auspicious. 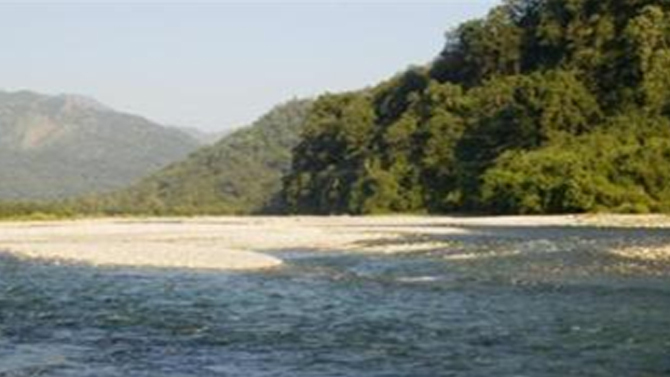 Kosi river covers the eastern portion of Jim Corbett National Park, from Mohan till Ramnagar via Dhikuli. Like the Ramganga river, Kosi river also attracts migratory species birds and is the preferred habitat of Mahseer fish as well. The river of Kosi shows its true colours during the monsoon season. Flow of Kosi river is erratic and often changes its flow multiple times. The water of Kosi river acts as a major source of survival for animal and people of nearby villages during the monsoon season. Major Aquatic Species: One can see large number of Mahseer fishes in the water streams of Kosi river. An innumerable tributary of the Ramganga river, Sonanadi river addresses the north-eastern area of Jim Corbett National Park. Name of the river is christened after the Sonanadi wildlife sanctuary, which acts as a connecting area of the two crucial zones – Corbett Tiger Reserve and Corbett National Park. The meaning of Sonanadi is ‘river of gold’. In the past, ounces of gold, found in the muddy deposits of the river. Mandal River originates at Talla Salan, a district in Chamoli. After passing through the 32 km long rocky stretch of the Kumaon region, the river enters the Jim Corbett National Park. Mandal and Palain River forms the north-eastern boundary of Jim Corbett National Park. River Mandal turns ferocious during the months of monsoon. For the rest of the month, the river remains calm and steady. Like other rivers in Corbett, the briny water streams of Mandal are home to the endangered Mahseer fishes. Palain River is a third major tributary of Koshi river and it enters the Jim Corbett National Park from the northern side. The river meets the Ramganga about 3 km north of the Ramganga reservoir. Major Aquatic Species: Like the other river of Corbett National Park, Mandal and Palani river is an integrated habitat of Mahseer fish as well. Water Bodies help in maintaining the ecological equilibrium of Jim Corbett National Park. ‘Sot’ is the local name for a seasonal stream. While trekking in the Jim Corbett National Park, tourists will spot multiple streams some under the trees while others are pouring down from the rocky cliffs. Though most of the Sots might be dry or lifeless, but they are very important for the ecological system of the park. Many of these sots are formed under the bamboo clumps and evergreen shrubs which ultimately forms an ideal habitat for many animals. Animals depend on these Sots for their drinking water requirements for a good part of the year. Sorts can turn problematic during the rainy season as they tend to overflow and washes away the roads and temporary bridges. 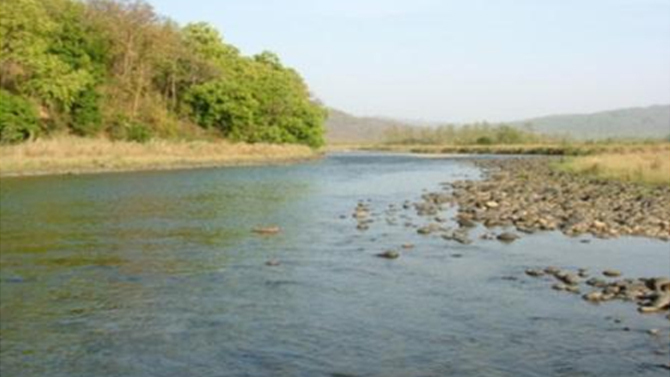 These rivers are also one of the key charms of the Corbett National Park. Most of the rivers and their tributaries in Jim Corbett National Park are abundant with Mahseer fish. The turquoise blue water of Kosi and Ramganga River offers a perfect aliment for the adventure enthusiast to indulge in activities like fishing, angling and river-crossing. Without any doubt, these waterways add the element of thrill to the rustic charm of Jim Corbett National Park. What to See in and around Corbett?